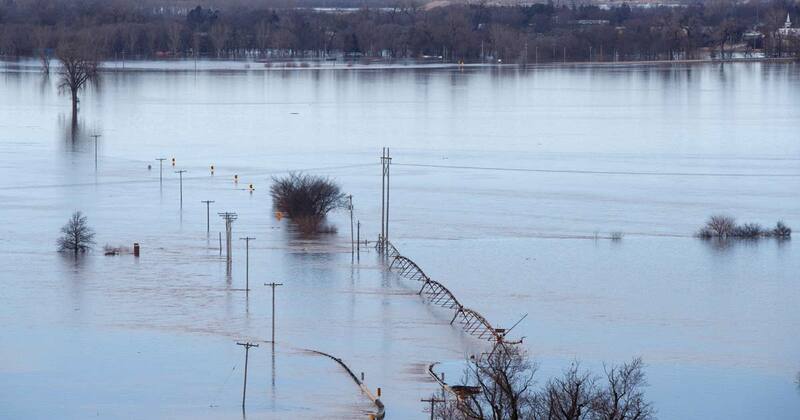 ST. LOUIS (AP) — Flooding caused by heavy rain and snowmelt is blamed for three deaths in the Midwest, and two others are missing. Hundreds of people were evacuated from their homes in Nebraska and Iowa as levees succumbed to the rush of water. Flooding has also been reported in Illinois, Minnesota, South Dakota and Wisconsin. Authorities say 52-year-old Aleido Rojas Galan of Norfolk, Nebraska, died Friday night in southwestern Iowa. Officials say Galan and two others were in a vehicle that drove around a barricade and was swept away. The other two men survived. On Thursday, 50-year-old James Wilke of Columbus, Nebraska, died when a bridge collapsed as he used a tractor to try and reach stranded motorists. A Norfolk man was seen on top of his flooded car late Thursday before being swept away. Water also swept away a man after a dam collapse. Both men are still missing. Previous articleIs Jane Sanders the most powerful woman not running in 2020?